The plugin creates an advertising campaign, and applies discounts to the products in accordance with the settings. The plugin’s settings will be available after its activation. 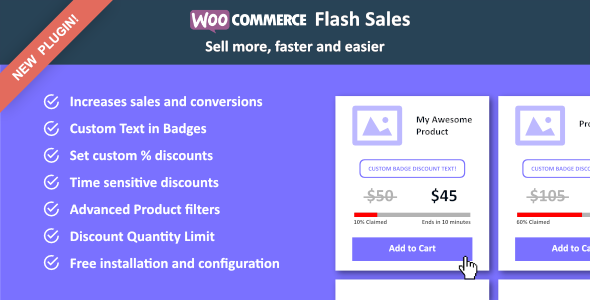 Go to the WooCommerce settings (http://yoursite.com/wp-admin/admin.php?page=wc-settings). There you will see a new tab with the name of the current plugin. By default, the plugin’s action applies to all products. You can flexibly manage the goods that will be available at a discount.